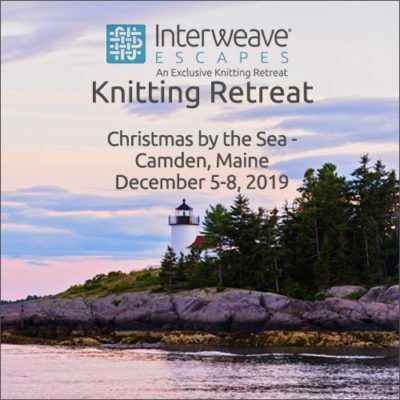 Join us for a luxury, retreat style knitting event in 2019. See our full calendar of events below. 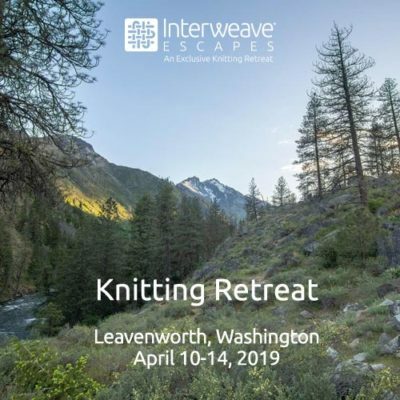 Join us on April 10-14, 2019 for Interweave Escapes’ 1st annual “Knitting Clinic” with Lorilee Beltman at the beautiful Sleeping Lady Resort located in the splendor of the Wenatchee Valley in Washington. 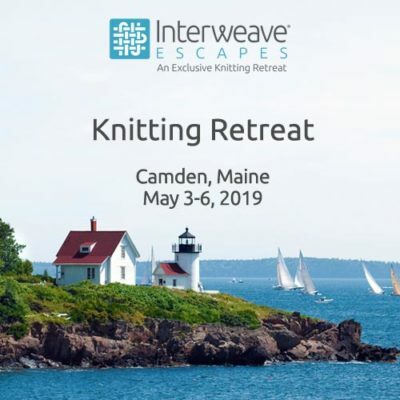 Enjoy knitting and nature as you unwind and relax in the refined wilderness at this one-of-a kind, all inclusive knitting getaway. Spend five days and four nights with the wonderfully talented, knowledgeable and gifted Lorilee Beltman. Lorilee will tackle your knitting obstacles with you side by side. Travel to beautiful Lake Tahoe, California where we will be staying at the luxurious Sunnyside Resort. The Sunnyside Restaurant & Lodge has been a landmark on Lake Tahoe since the 1950s because they’re the ultimate lakefront place to eat or stay. Learn from knitting expert Romi Hill in two knitting workshops covering lace tips and tricks and shapely shawls. You will also enjoy an exclusive excursion to Jimmy Beans Wool Headquarters for lunch and shopping with co-owner Laura Zander. 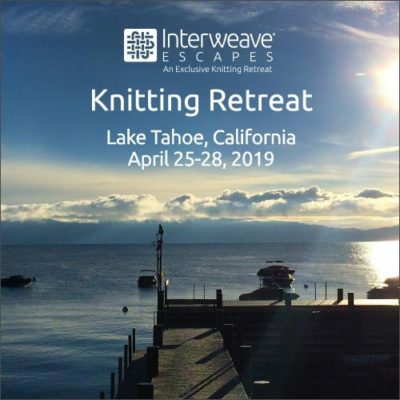 Knit, relax and enjoy amid the natural beauty of Lake Tahoe. On May 3-6, 2019 we will be staying at the luxurious Camden Harbour located on the picturesque coast of Maine. There will six hours of knitting from Laura Nelkin as she introduces you to the “Novus” construction, her seamless yet structured modern approach to the side-to-side sweater. Plus, enjoy a trip to The Northern Solstice Alpaca Farm, a “Downtown Abbey themed High Tea” hosted by The Cashmere Goat Yarn Store, and a Wine Tasting presented by The Cellar Door Winery. 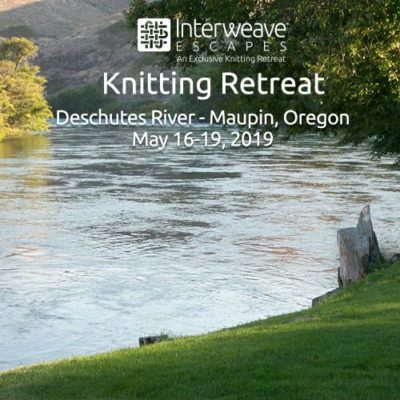 Join us on May 16-19, 2019 for extraordinary hospitality in Oregon’s high desert interior on the banks of the Wild and Scenic Deschutes River. We will stay at the Imperial River Company where the scenery is great and the people are too, and tour the historic Imperial Stock Ranch. You’ll get up close and personal with the sheep, dogs, and people who have been behind the wool supply for Ralph Lauren’s Made in America Olympic uniforms since 2014. Our workshops will feature instruction from Jamie McCarthy and Lis Smith from the Brooklyn Tweed team, who will be sharing with you the exciting features of wool yarns and help you create a bespoke garment all your own! On the morning of May 16, we will be in Portland at Brooklyn Tweed’s headquarters and enjoy their hospitality while indulging in two of Portland’s favorites, “VooDoo Donuts” and their finest coffee. For the ultimate Santa Fe experience, we will be staying in “The Hacienda”, Hotel Santa Fe’s secluded and exclusive retreat featuring 35 lavish rooms and suites and an extensive collection of Native American art representing New Mexico’s 19 pueblos and other tribes across the U.S. While staying at the Hacienda we will enjoy an exceptional guest experience enhanced by daily breakfast and evening receptions, professional butler, private key access and premium amenities. Designed in the same Pueblo-style architecture, The Hacienda at Hotel Santa Fe also features Native American decor, artwork and warm tones that reflect the beauty and traditions of its Southwest location. The Luxurious Camden Harbour Inn is located on the picturesque coast of Maine. A proud member of the Relais & Chateaux Association made up of the world’s finest hoteliers, chefs and restaurateurs that has set the stand of excellence in hospitality. As one of New England’s most exclusive boutique hotels, the historic inn offers an unmatched combination of opulent suites, picturesque views, indulgent amenities, and expertly crafted cuisine served at our world-class fine dining restaurant. For questions or more information contact Doreen Connors at doreen.connors@fwmedia.com or 516-498-7463.